Dennis was born and raised in New Zealand. After moving to the US in 2011, he now calls Seattle, WA home. He enjoys the variety of work at Alpine Ascents, and splits his time between guiding summit climbs, and teaching courses in the Cascades and internationally. Beginning his fascination with the mountains at age eight, he first caught the ‘mountain bug’ on a multi-day trip to the volcanoes in the central North Island. After high school, Dennis spent four years studying to be an outdoor instructor/guide and also became a certified Scuba Instructor. He has guided and climbed extensively in New Zealand, Australia, Spain, Alaska, Canada, Patagonia, and the Washington Cascades. 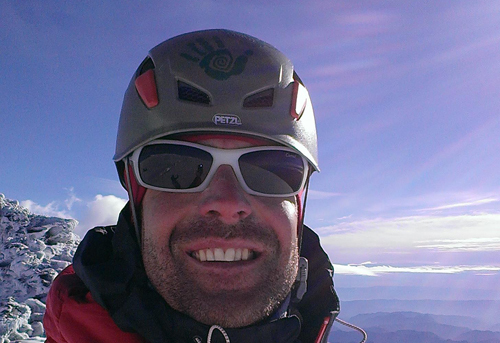 Dennis has a passion for life in the mountains, and loves to share this enthusiasm with others. Climbers who have been on an expedition or course with Dennis rave about his calm approach to life in the mountains, and his natural ability to help students learn the many technical and survival skills required to be a solid mountaineer.